Charles specializes in the area of product liability. He represents plaintiffs and their families in cases involving defective vehicles, vehicle components, and failure to warn claims. Charles also handles cases against the State involving child abuse and police procedures. 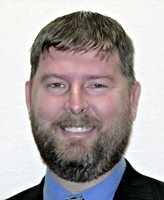 He is the firms lead counsel on e-discovery matters and legal research issues. Charles is a member of AIEG, a nationally renowned organization of Plaintiffs’ attorneys specializing in product liability. In addition to his legal work, Charles is a presenter and spokesperson for the Positive Coaching Alliance (www.positivecoach.org), a non-profit organization dedicated to training coaches and parents how to teach life lessons through youth sports. In his spare time, Charles teaches baseball lessons and teaches camps for the D’Backs Academy. Prior to attending law school at Arizona State University, Charles played professional baseball in the Arizona Diamondbacks organization. He was also the Marketing Director and Lead Pitching Instructor for the Chicago Bulls/White Sox Training Academy. Charles has a B.A. from Northwestern University in Communications.